Several of our staff participated in the No Hit Zone Training! The training was facilitated by Stacie LeBlanc and Hannah Gilbert of the New Orleans Children’s Advocacy Center. 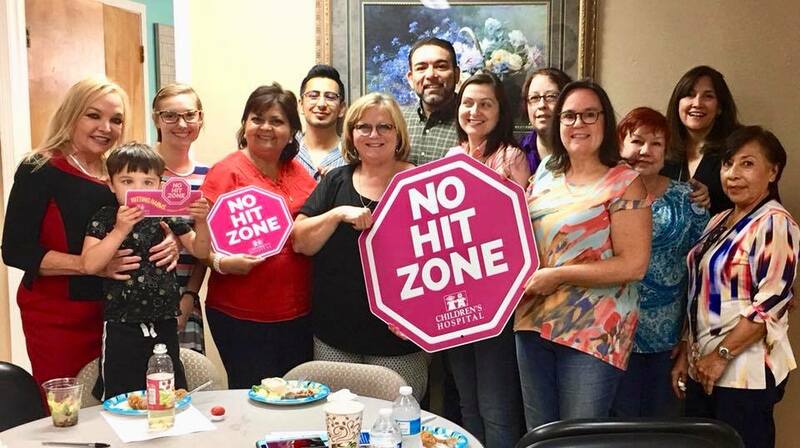 The No Hit Zone program promotes healthy relationships and safe environments across the lifespan through awareness, education, and skill-building. No adult shall hit another adult. No adult shall hit a child. No child shall hit an adult. No child shall hit another child. Our staff found the training to be beneficial to their work. The pink No Hit Zone signs have been posted at all of our locations. In addition to the signs, we have information available for our clients.